The Prime Ministers of the Solomon Islands and Vanuatu have used their speeches at the UN General Assembly to address Indonesia’s systematic use of human rights violations in Papua and West Papua. The Melanesian leaders called upon the Human Rights Council to immediately take action and accused its members of having ignored the problem for half a century. Recently reported cases include the imprisonment of 37 Papuans for peaceful support of independence movements. As the media and civil society organisations have only restricted access to the region resulting in limited or no coverage of West Papua’s situation, the Prime Ministers not only pointed out state-sponsored human rights abuses, but also the necessity of international support for West Papuan self-determination. 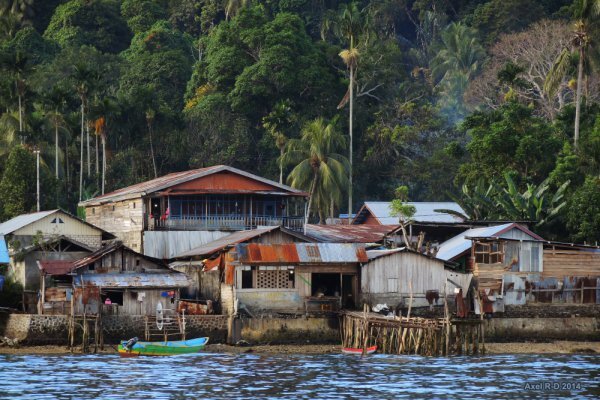 The UN has been accused by Melanesian leaders of ignoring human rights abuses in the unstable Indonesian province of Papua and demanded global support for the campaign for independence. At the UN General Assembly, the prime ministers of the Solomon Islands and Vanuatu called on the UN’s Human Rights Council to open a probe into human-rights abuses in the region. The Jakarta authorities are accused of extrajudicial killings, torture, arbitrary detention, excessive use of force and mistreatment of peaceful protesters. At least 37 Papuans are in jail for peaceful acts of free expression or for supporting the independence movement. Media and NGO access to the region is heavily restricted. The Solomon Islands premier, Manasseh Sogavare, said the UN’s lack of attention grossly contradicted Article 73 of its charter on human rights. He said the United Nation’s sustainable development objective of “no one left behind” would be “synonymous to empty promises unless we in the United Nations take active steps to address the plight of the people of West Papua”. “Failing this, we as a family of nations will become complicit in perpetuating the sufferings and becoming blind to the injustices, missing yet another golden opportunity to remain true to the saying of ‘leaving no one behind’,” Sogavare said. Jakarta has been repeatedly accused of human-rights violations and violent suppression in the ethnically distinct provinces of West Papua and Papua, which constitutes around a quarter of Indonesia’s landmass with about 6 per cent of its population. Papua’s indigenous population is Melanesian, more closely linked to Papua New Guinea, the Solomon Islands, Vanuatu, Fiji and New Caledonia. Formerly the Netherlands New Guinea, Papua was controlled by the Dutch after Indonesia’s independence in 1945 but the region was seized by Indonesia in 1963. Jakarta cemented its grip with a referendum in 1969 which the Suharto dictatorship was accused of rigging. Known as Irian Jaya until 2000, the Indonesian-controlled half of the giant island of New Guinea in 2003 was split into two provinces, Papua and West Papua. Vanuatu’s Prime Minister, Charlot Salwai, told the gathering in New York that Papuans must be allowed self-determination and freedom from the “yoke of colonialism”. “For half a century now the international community has been witnessing a gamut of torture, murder, exploitation, sexual violence and arbitrary detention inflicted on the nationals of West Papua, perpetrated by Indonesia, but the international community has turned a deaf ear to the appeals for help. We urge the Human Rights Council to investigate these cases,” Salwai said.